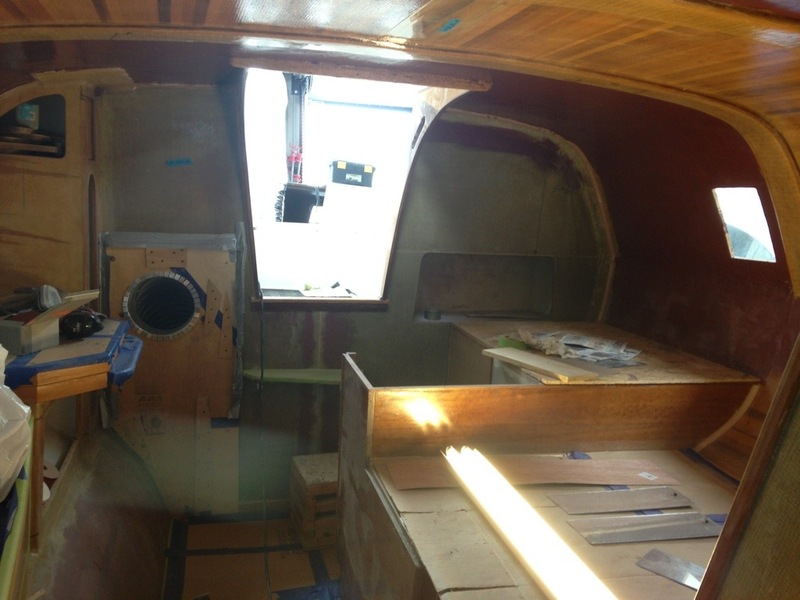 Well, we stopped work on the port beam/float fitting because I found the right woodworker to help with interior fit out. So the past few weeks have been a mad attempt to stay ahead of Mark. 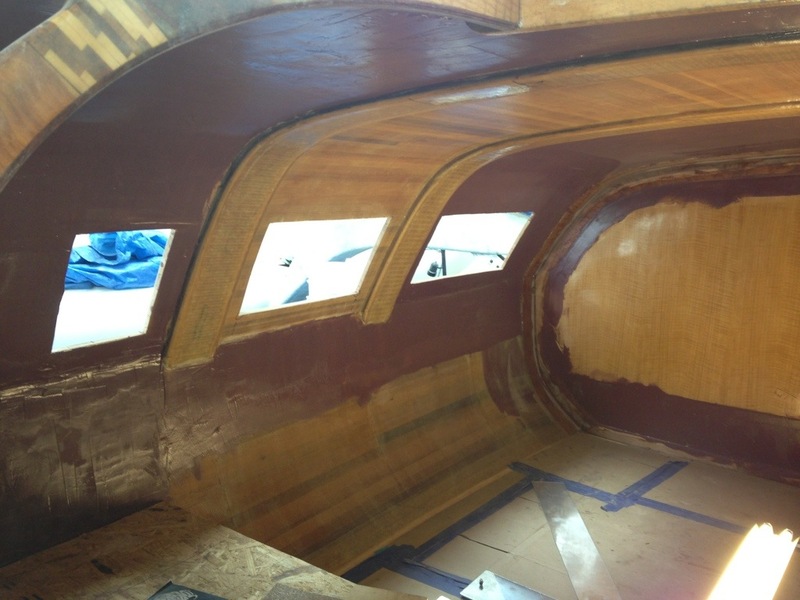 We’ve realized that the randomly completed interior woodworking projects from the past are now causing trouble with the primary fairing and painting. So with some frustration I’ve been ripping out or sanding back so of the prior workmanship. Step one on the main cabin was to cut the windows. 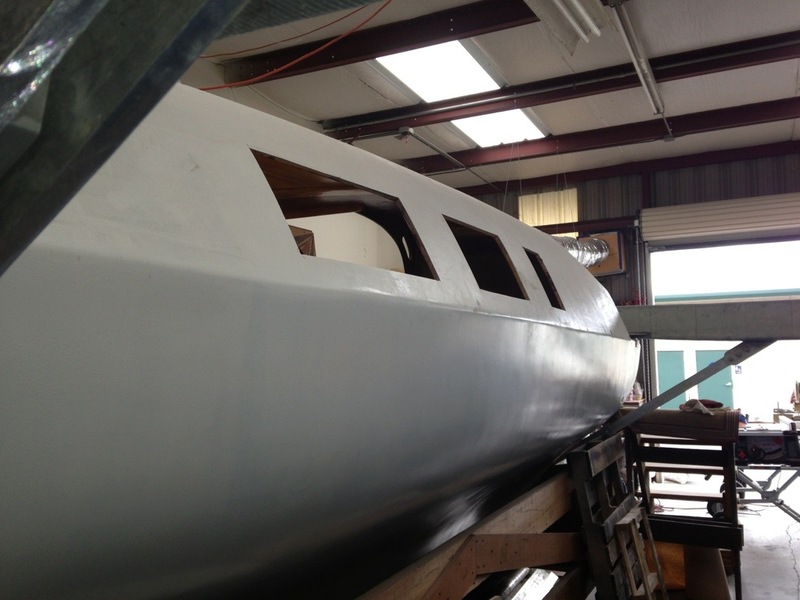 They’re as big as possible, and of course the boat has transformed from a dark cave to an airy cabin. 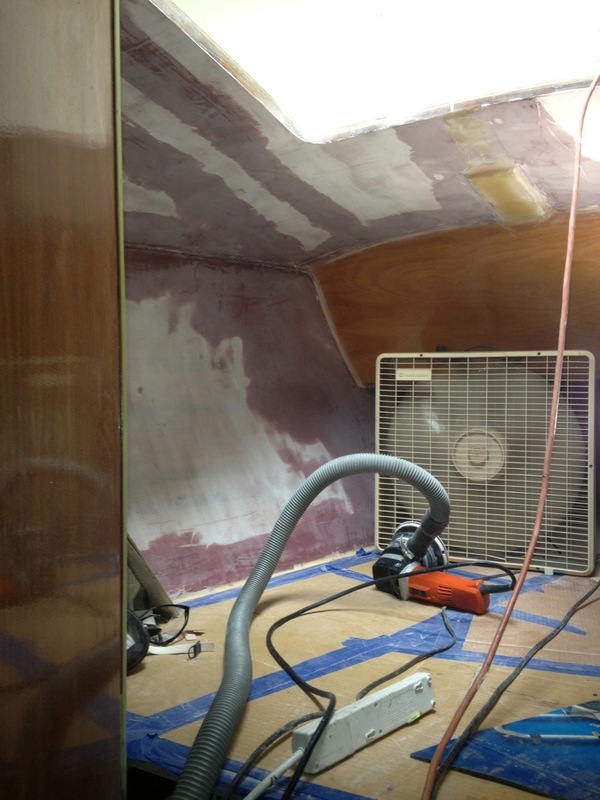 The rearmost window is smaller to make room inside for the galley cabinet on port and the radio cab on starboard. You’ll see the epoxy bog being spread all over – that’s after making the big decision NOT to clear coat the whole interior that would have exposed the pretty cedar core. Up close, though, too much rough construction detail and visual variance in the cedar would not have looked top notch. So the boat will be painted inside and great wood accents added. 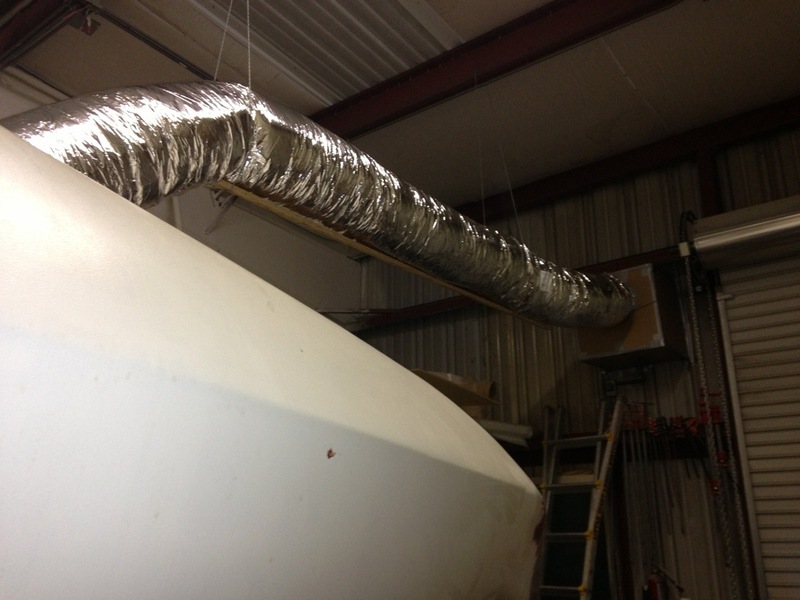 The plywood plug and ductwork hole on the left side of the photo above is the temporary exhaust that’s tied to the shop fan. 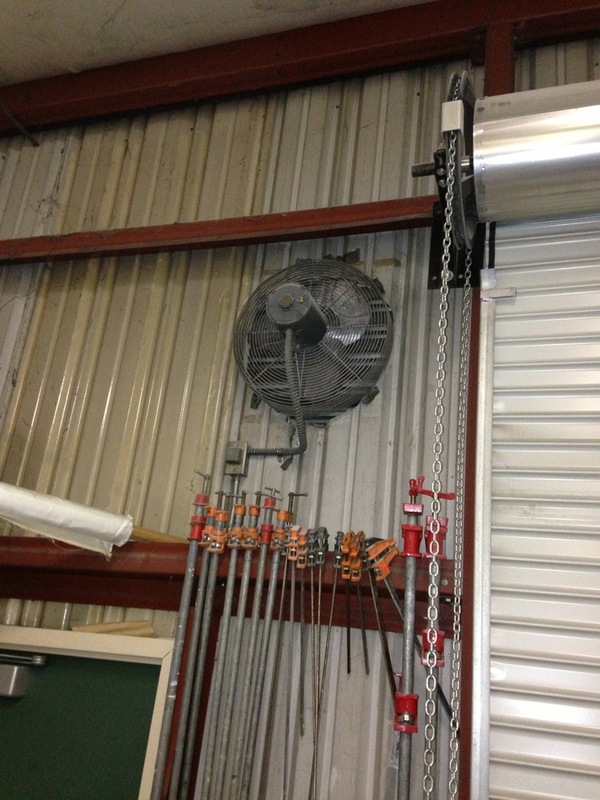 We were quite lucky to have this big permanent fan over the shop door. It clears the dust and vapors very well.